I finally pulled some beets out of my garden today! I’ve been waiting…and watching…waiting..and watching and they finally got big enough. The tops of them started popping out of the ground so I pulled some of them out and of course I had to make something with them. Him: So how much do I put of this? Me: I don’t know..just throw a bit in. Him: How long do I cook it for? Preheat your oven to 425. Cut the tops and ends off of the beets, scrub clean and lay on a paper towel just to get some excess moisture off. Wrap in foil lined with parchment paper and place on a baking sheet. Roast for about 45-60 minutes. Check at the 45 minute mark by poking with a fork…you want them tender and not hard. 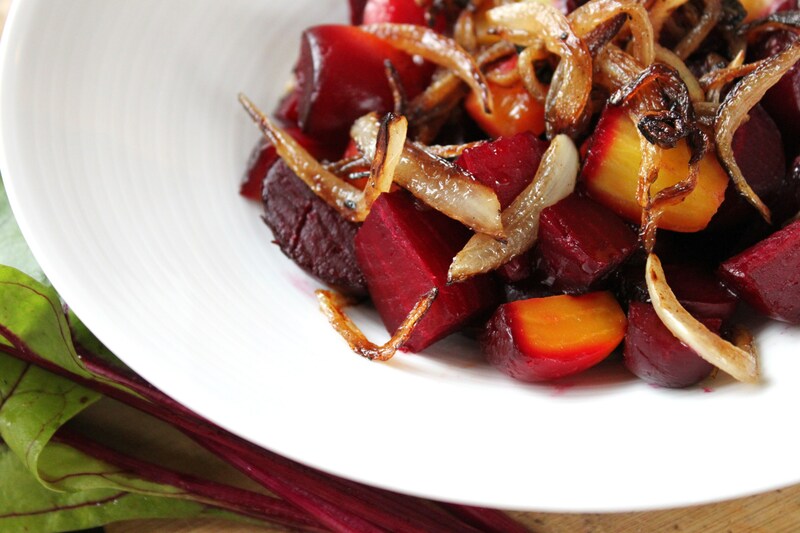 While the beets are roasting, chop your onion into thin slices. Add a pad of butter to a cast iron frying pan (if you have one) over medium heat….if not a non-stick is fine. Once melted add your onion to the pan. Stir often to avoid burning and cook until nicely browned. Set aside. Once done, remove and lay on a plate to cool slightly. Use a paper towel and “pinch” the skin to loosen it and peel it off each beat. Slice into wedges and put in a bowl. Drizzle olive oil and balsamic vinegar to your liking and top with the caramelized onions. This can be served warm right away, or made ahead of time and stored in the fridge for a few days. So you know those nights when you’re making a dish and you’re just not sure what to have as a side with it? Well this is what came together for me with some fresh green beans I had from our special delivery we get every week and some asparagus I had bought and needed to use up. It was quick to pull together and could be even faster if you make up the vinaigrette ahead of time or even steam and refrigerate the greens ahead of time. For this recipe I won’t include amounts, you can simply steam as many greens as you wish, but I will give the amounts for the balsamic vinaigrette. 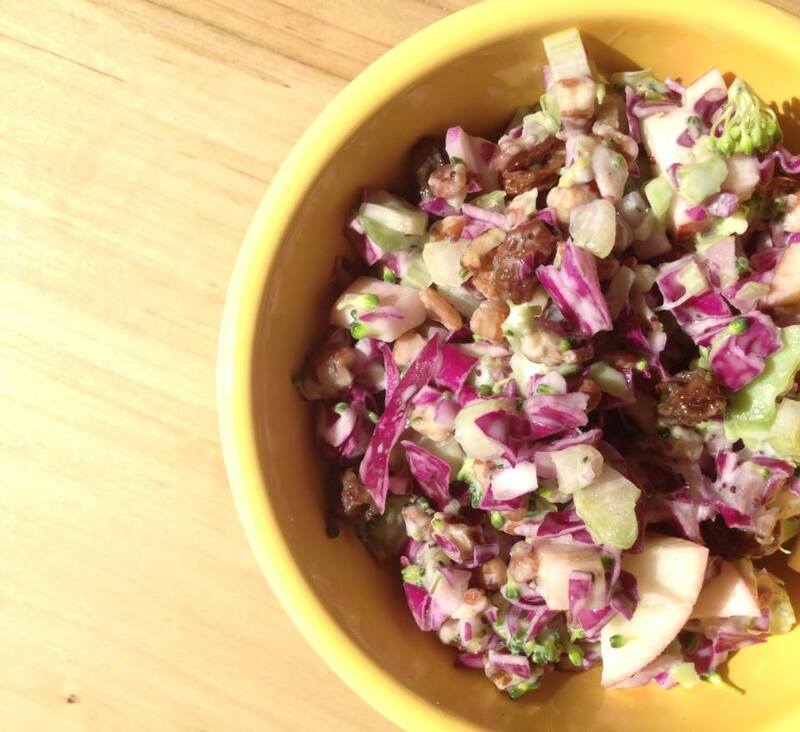 (You can keep this in the fridge and use for other salads). For the greens, simply cut the ends off of the beans and wash. 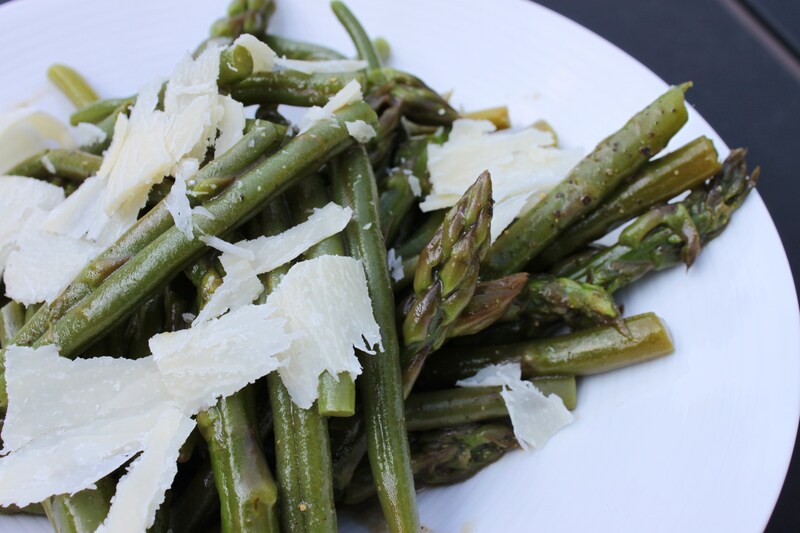 Snap the ends off of the asparagus and wash. Steam until tender but not soft. Meanwhile fill a large bowl with cold water. When the greens are done, use tongs to put them in the cold water to stop the cooking process. Drain, cover and refrigerate until ready to use. Add all dressing ingredients to a mason jar and shake until combined. 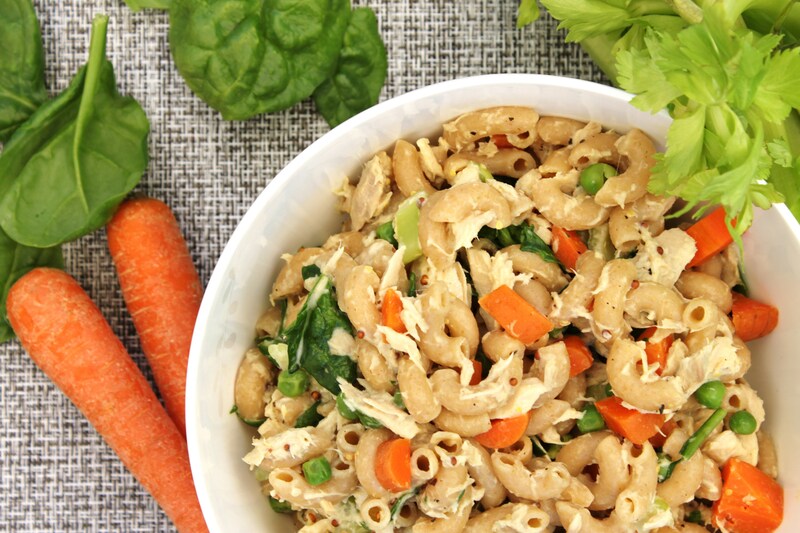 When you’re ready to eat simply dress your greens and shave some Parmesan on top! So simply and so easy. Do you love ordering sweet potatoe fries and dipping sauce at restaurants? 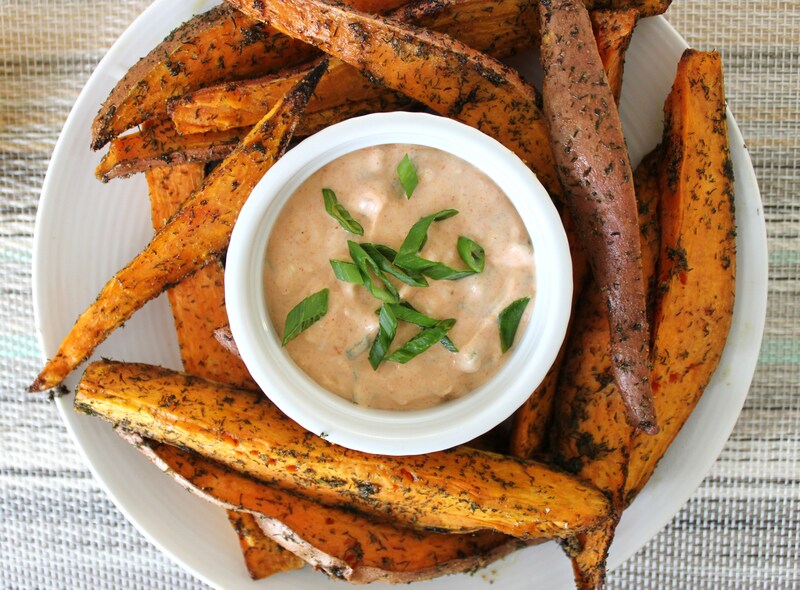 Try these baked sweet potatoe wedges and greek yogurt based dipping sauce for a healthier version! You can make them in wedges or cut them thinner to make fries…just adjust your cooking time accordingly. Wash and cut the ends off of your potatoes. Slice in half, and in half again and again creating wedges of similar size. In a bowl combine the potatoe wedges with all remaining ingredients, using your hands to make sure they are all coated. Line a baking sheet with parchment paper and lay the potatoe wedges out in an even layer. I like to lay them skin side down. Bake for approximately 30 minutes (or until they are soft when poked with a fork). Turn them half way through so they cook evenly. Times will vary depending on your oven, the size of your potatoe wedges and whether you like them more mushy or firm. Meanwhile for the dipping sauce you will need…. Combine all ingredients and garnish with some extra green onion if you like. You can leave this in a bowl on top of your oven while the potatoes are cooking if you like it a bit warm. Note – if you like spicy, totally add some cayenne to the potatoes or the dipping sauce!